Kitchen: With underfloor heating, pale blue painted units, windows overlooking the courtyard, halogen hob, electric oven, cupboard housing fridge (with ice-box) and a microwave. There's a kitchen table which will seat 4. Door to the stairs up to the first floor. There is a washing machine housed between the kitchen and the bathroom. There is a door leading from the hallway between the kitchen and bathroom into the back courtyard. Bathroom: contemporary bathroom with underfloor heating, a bath shower, hand basin, WC, heated towel rail. A fairly steep cottage staircase with a hand rail. Bedroom 1: Beautifully presented large light and airy room at the front of the cottage with church views, a king-size bed, bedside tables and lamps, boudoir chair, chest of drawers and a built-in wardrobe. There is a storage heater. Bedroom 2: Smaller room which has a double bed and chest of drawers. The bedroom is at the back of the cottage and overlooks the courtyard. Please note that there is an additional mattress stored under the double which may be used if required. There is a storage heater. At the back of the cottage is a full enclosed, newly paved courtyard garden with a new bronze steel 4 seater garden dining table and chairs set with parasol. In the courtyard also there is a garden love seat with cushions (stored inside). There is a Weber bbq for guests to use housed in one of the outside storage sheds. The courtyard is a real sun-trap and enjoys the afternoon and evening sun. Although there is no designated off-street parking, there are no parking restrictions and it is usually possible to park outside. Please note that there is a right of access through the garden by the neighbouring cottage, but this is rarely used and so should not disturb guests. Lovely warm, welcoming cosy cottage. Everything we needed here. Very clean. Love the l-shaped sofa so comfortable. The large bedroom overlooking the church is beautiful and the bed was extremely comfy. 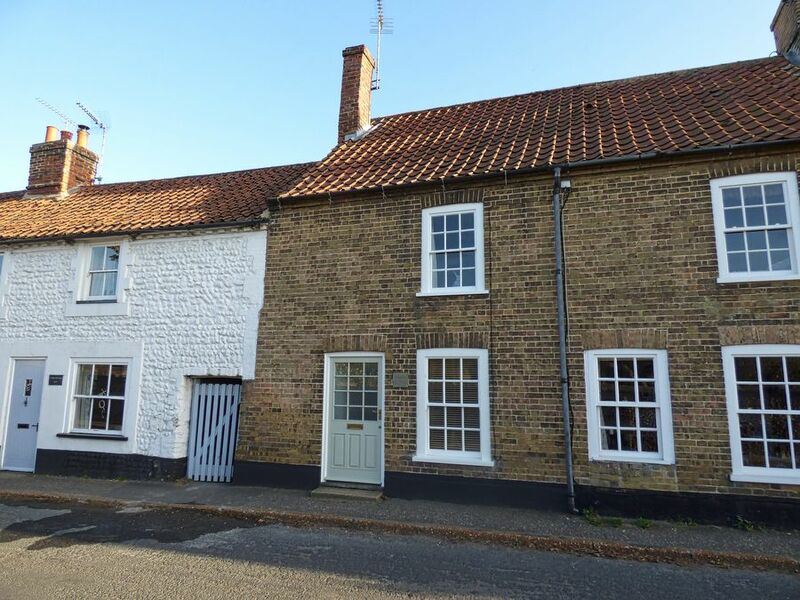 Lovely cottage in perfect location in Burnham Market close to fabulous beaches and amazing sunsets. Loved the underfloor heating. Very pleasant and happy with our stay. What a gorgeous cottage!! We enjoyed our stay and will be back again. Love all the decorative touches. A real home from home. Lovely cottage. Everything we needed. Thanks for all the information included in your book pointing us in the right direction for our first time in Norfolk. Alovely little cottage, the bedrooms are great, lovely and warm as si the bathroom. Thank you so much for the lovely Christmas gifts. We will come again in the Summer. This is my third booking with Sowerbys, and I have again been impressed with the ease of booking and the friendly service your team has provided. I have recommended you to friends and family, whom have also booked with you. We will definitely book with you again. The location, the price, being able to take our dog. All the extras like towels, soaps and tea bags. We LOVED the sofa!